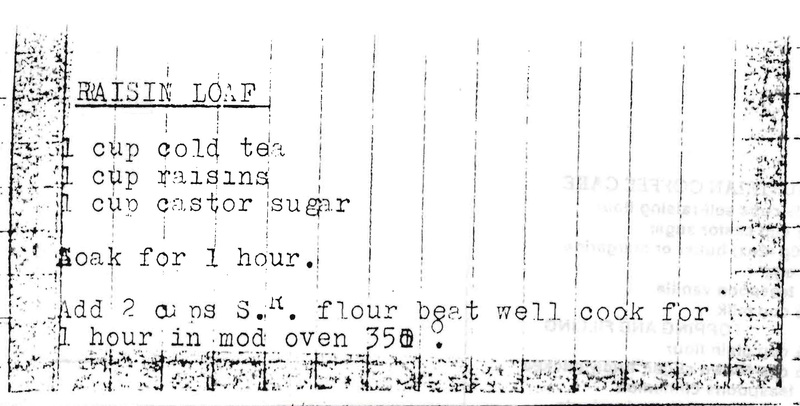 I really like the sound of this baked pear dessert. 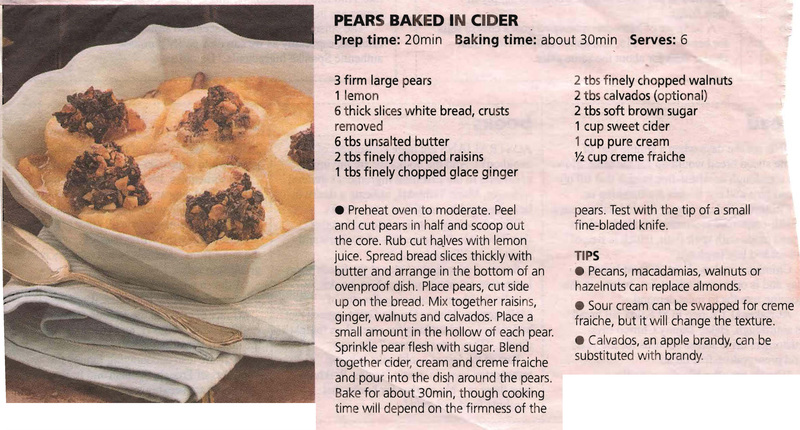 The combination of pears, fruit and nuts, cream and creme fraiche – not forgetting the cider – is quite appealing. 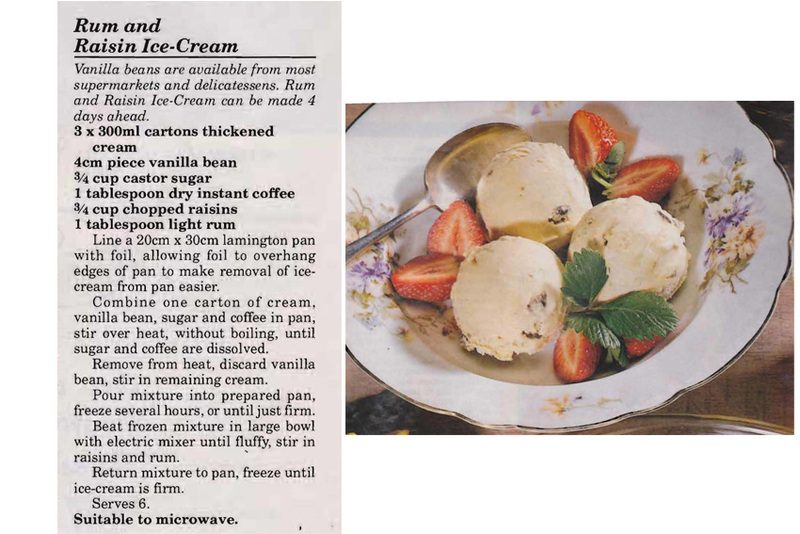 It’s probably more a cool weather dessert, although maybe it would work served chilled on a warm night. 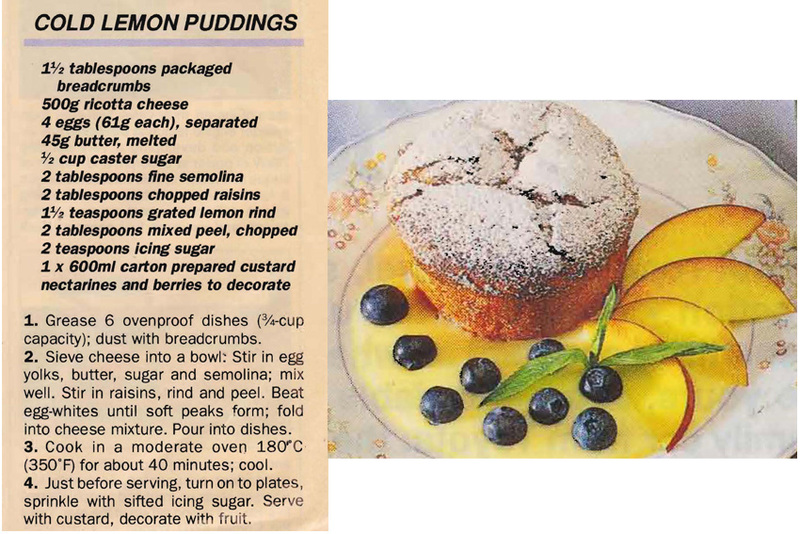 Individual lemon puddings that you can make for dessert before anyone arrives seem like a great idea to me. 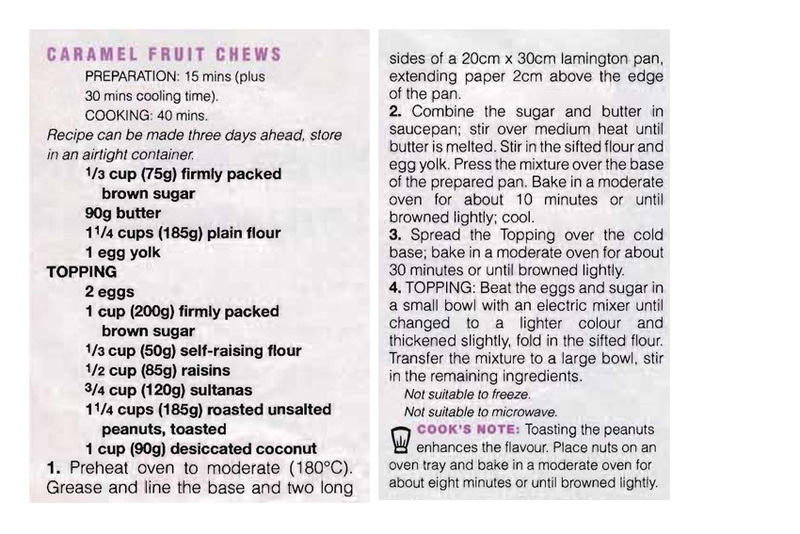 As I’ve said before, I like to spend as little time as I can in the kitchen once the visitors have arrived, so these seem perfect – although I would add a dollop of thick cream for serving. Did you think using chickpeas in a recipe was a new thing? 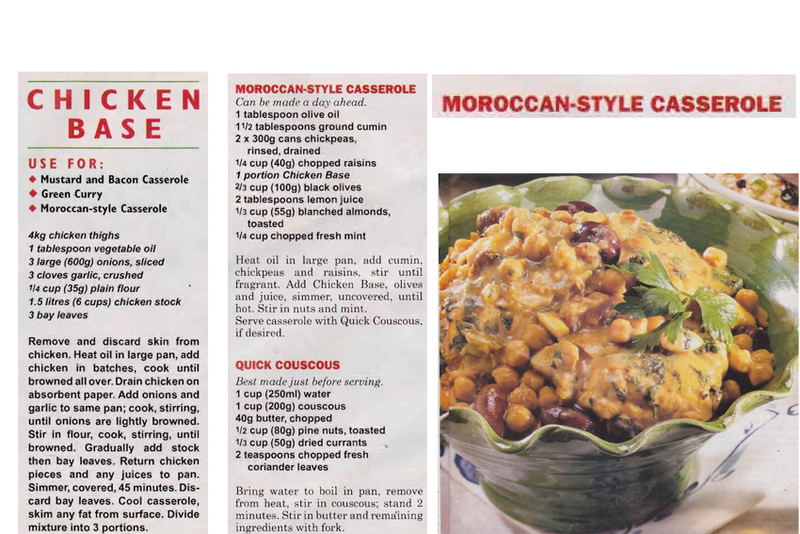 This Moroccan style casserole from a 1990s, Australian Women’s Weekly supplement Clever Casseroles disproves this. This recipe is more than 20 years old and a. is Moroccan style and b. uses chickpeas – everything old is new again…….and it even includes a couscous recipe.